mwe3: Can you tell the readers something about you, where and when you were born, where you grew up and how you became interested in both classical and rock music? I know thats a lot of ground to cover! I think you are 45. Were you born in 1974 or 75? What were you listening to when you were 9, 17 and 27? Jukka Iisakkila: I was born in a quite small town called Valkeakoski, near Tampere in the southern part of Finland. Even though the town was a bit smaller, it still had a very active cultural life, especially in both classical and rock. Born in 1975, my roots are embedded in folk music. Many of my relatives on my dads side performed with the Pirkanmaan Pelimannit or the Sahalahden pelimannit, the two fiddler music ensembles carrying the tradition of folk songs from my native Tavastia region. My mom's side is from Russia so I have a bit of that Tolstoi-Dostojevski blood in me too. Music was always a part my surroundings, we had a lot of recordings, we played together a lot. My sister played the piano and I started playing it already at the age of four at the music school. Soon I was invited to join my uncles, aunts and cousins as they traveled the countryside with the tunes of the land in their hearts. But obviously, I needed to something to balance the scales. When I felt overwhelmed by either classical music or folk tunes I turned to my fathers record collection. We had a lot of classical music and my favorites were Beethoven, Bruckner, Stravinsky and Mahler and then the huge amount of folk music records. But three albums that fascinated me were: Lumpy Gravy (1968) by Frank Zappa, The Lamb Lies Down On Broadway (1974) by Genesis and Flex-Able (1984) by Steve Vai. I listened to them all a lot and Vais otherworldly debut disc haunted me. The seeds for a logical progression were sewn and I still continued with the piano but started playing also playing percussion and then the electric guitar. Percussion was my ticket to the music schools orchestra which I loved a lot and guitar was just a fascinating instrument which I felt a magnetic pull towards. I continued with all these instruments in music college and then to music academy/university and also studied music theory at the university and have master degree in all. I played in orchestras, bands, ensembles etc. But I was and still am very interested in music in general and therefore I also shifted towards conducting. And eventually I graduated from Royal Swedish Academy of Music as a conductor taught by the living legend in the field of conducting Prof. Jorma Panula. I won a competition, which led to more conducting jobs and now I also have an international career in conducting too. As I said, I listened to classical and folk when I was young, then came the three holy triangle (Zappa-Genesis-Vai) and lots of other stuff too. I went thru a jazz phase, liked Eric Clapton, progressive music, chamber music and all that. And I also liked the Finnish artist Pekka Pohjola very much. 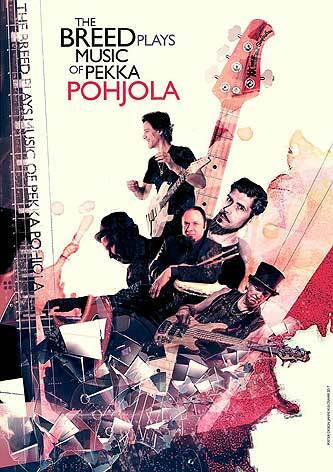 mwe3: One of your main musical influences emanates from the era of the late Finnish artist Pekka Pohjola. When did you become interested and influenced by Pekka Pohjola and what was the first album you heard from him?Do you have an anecdote or favorite memory of any experiences of being with him? He seemed to always create a memorable impression anytime and anywhere he went. Pekka wasted no time or note! well he did say that you can compose what kind of music you want but parallel triads are his! Although we have a lot of great musicians in Finland you eventually will find yourself working / knowing / meeting them if you are a musician too. 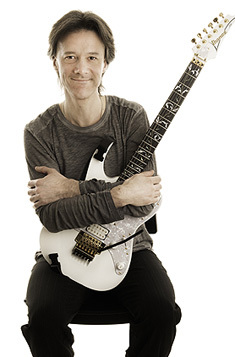 Like for example in Pekka Pohjola's case, his guitarist Peter Lerche is a good friend of mine and also my guitar teacher and I share a rehearsal studio with Pekkas latest guitar player Markku Kanerva. mwe3: Do you find that Pekka Pohjola influenced a whole generation of progressive rock artists and instrumental jazz fusion composers, especially from Finland? I remember hearing the first Anssi Tikanmaki album which, I thought was Pohjola-esque way back then. Also, you lead The Breed, which is actually a Pekka Pohjola tribute band. Tell us about The Breed, when it started, what are its goals and who else plays in the band with you. Funny how Pekkas musical style ran from Zappa and Miles and The Beatles to Sibelius but, as far as having his music heard in 1975 England, he was the first to create an authentic, international Finnish jazz-rock fusion presence. Jukka Iisakkila: I think he did and still does. His roots were in classical music and he had a good knowledge of theory and a fantastic ear. Earlier I thought he was a kind of Sibelius with a twist. There are few great Finnish jazz-fusion composers like Arttu Takalo, Juha Kujanpää who is more into folk-prog, and like you mentioned Anssi Tikanmäki who do have that similar musical landscape. he was playing and I was conducting. Since we knew each others background, we liked the idea of starting to play the music of Pekka Pohjola. Niko knew the bass player Jaan Wessman who has played with nearly everyone and played with Mike Keneally among others. He was interested and then we invited a keyboard player Aki Lääkkölä, who is also a great guitar player and is a songwriter-musician in a famous Finnish band Absoluuttinen Nollapiste. 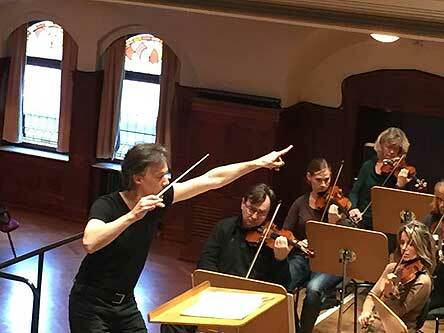 Then we wanted a twist and that was to ask my friend Ville Ojanen who plays violin and viola. He is one the most known modern folk-musician and composer there is in Finland and has an international career too. And then I play the guitar and piano too and I do most of the transcriptions and Aki does them too. There are only few transcriptions that Pekka did but they are arrangements for big band so basically Pekka never wrote anything down. So I listen to the recordings and transcribe everything. I usually make a full score to Sibelius and extract the parts for the players. Lots of work but nice. We have about 30 works in our list. Indeed he was the first one to create that authentic Finnish jazz-rock fusion music. And his elements are so solid and personal. mwe3: You also mention Frank Zappa as an influence. Like Zappa, you are also a guitarist and work with orchestras too. 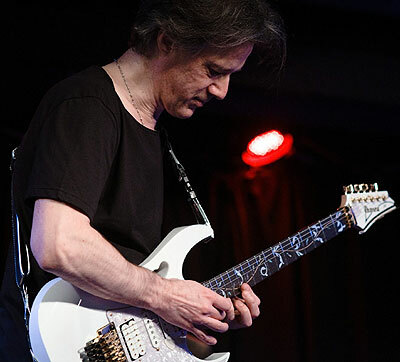 From Zappa to Pohjola and Steve Vai, who you have done some shows with too right? 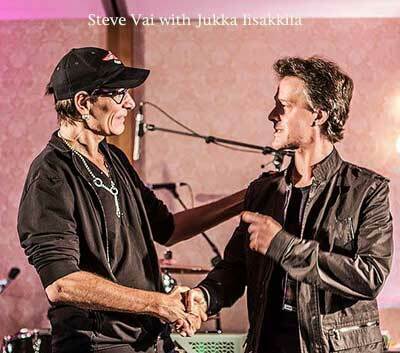 Jukka Iisakkila: I met Steve Vai for the first time a few years ago at his academy in Colorado. I went there to study and learn more, applied and got in. Since I was also doing artistic doctorate on absurdity in the music of Frank Zappa, György Ligeti and Luciano Berio we started to talk with Steve about that too. And since I am also conductor, who also plays guitar, percussion and piano and is a composer too, we started to talk about doing things together. So after some hard work for about two years we did a concert at the Helsinki Festival, which is the most prestigious festival in Finland. We had one the finest orchestras, the Tapiola Sinfonietta, and since his music requires not only symphony orchestra but a rock band and big band too, we had the best players you can find. It was a total, huge success. Steve played as a soloist in about ten of his works, including works like Taurus Bulba, For The Love Of God, Velorum, Salamander In T, Kill The Guy With A Ball, Murder, Liberty, "Lotus Feet, Crying Machine, Racing The World, Whispering A Prayer and we also did three of his orchestral pieces; Frangelica 1 and 2 and then Oil of Smoke. he is a true genius and a wonderful person. I am so grateful to have him as a friend and there will be some great things coming up. They will become reality within near future, latest 2020 but I think that is all I am allowed to say at the moment. mwe3: When did you write and record the music on your Clocks And Clouds album and why did you decide to record all the music on your own? Of course, Ilkka Saarikoski plays some excellent drums on it and is that your daughter on a spoken word track on the CD? Tell us about working with Ilkka and also your label Eclipse. Jukka Iisakkila: Well the Eclipse Music label is a Finnish record label owned by Tapio Ylinen. It is not a mainstream label but a label with good music! I am very lucky and happy that Tapio and Eclipse took the Clocks And Clouds and to my surprise it is doing very well. I think it took something like two years to write the music. There were some periods when I did not have time write 24/7 due of the other duties, but I always worked on it, wrote some music in various places whenever I had time. And I always changed, added and took something away and replaced so it really did not fit to my idea to hire a studio and go there for a long period of time. And I also wanted to work whenever I was in my home studio. And that sort of experimenting idea that Vai has and Zappa had effected on me too. Yes, that is my daughter telling a joke about how a Finnish person, a Swedish person and a Norwegian person who wound up to a deserted island. I studied with Ilkka , who plays the drums and is my dear friend at the university so our friendship goes back a long way. I just liked the idea of doing something with him and he delivered everything very well. Hes a very musical player indeed and he is always a big help to me. mwe3: How does Clocks And Clouds contrast to your work in the orchestral field of music conducting symphony orchestras? Is classical music more acceptable in Finland than Pohjola-stye rock instrumentals? I remember arriving in Finland in summer 1979 and playing Pohjolas music on tape, must have been from The Group album to people I met in the hotel disco. While they were playing it, some guy in the disco walked up to me and uttered in a scary way, 'funeral music'. I never forgot that insulting comment. that must have been an exotic place! There are not really that many artists in Finland who do that kind of Pohjola-style rock instrumental. If it is instrumental rock then it is geared towards the heavy music style and that is not really my thing at all, not at all. But classical music is appreciated in Finland and so is jazz-rock style. So to answer your question Id say that both are acceptable. mwe3: So is the Clocks And Clouds style going to be further explored on future albums? So this is your first true rock instrumental album? What are some of your other recordings? 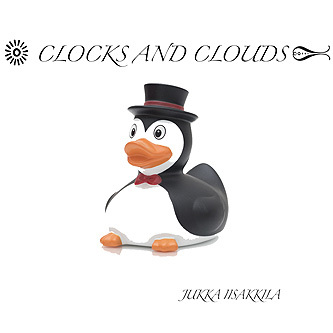 Jukka Iisakkila: Yep, the Clocks And Clouds style is going to be further explored on future albums. I already have a vision for it and I have been writing new material. 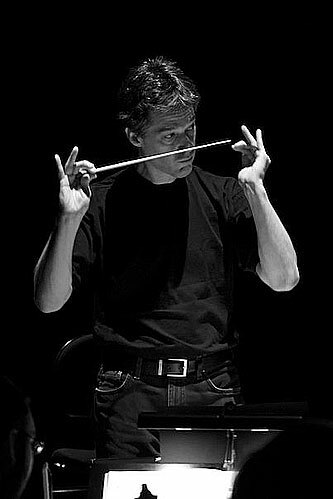 I have done recordings with orchestras and to other people and labels like ECM, Dacapo, Alba, Pilfink, ApartRecord etc. There is contemporary music, symphonic music, concertos, symphonic jazz. mwe3: Clocks And Clouds starts off with Freefall. Is that more of a straight-ahead fusion track with a slight funk edge? But it also has a Pohjola edge to it. Did you want a very upbeat track to start the album and is there a vocal track on it towards the end of, or is it a sample? Jukka Iisakkila: The vocal alike track is both vocal and sample. I used a few sounds to beef the vocals. It just eventually became that kind of straight-ahead piece. I recall I had the arpeggios for the so-called chorus first and the rhythmic figures with the chords. Then I started working with a melody. The chorus is intentionally a kind of opera chorus, a bit of Puccini in it. And the melody then is a more solistic vocal line. So these longer lines had to have some contrasting material i.e. short values against long values. mwe3: All the tracks are great. The title track, Clocks And Clouds is a masterpiece. Is that the most Pohjola-esque track on the album? How many guitar tracks are on that song and what key is it in? Jukka Iisakkila: Oh, thank you very much! And it could be that you are right about that Pohjola-esque but it was not intentional. It just might be that these longer melodic lines create that kind of Pohjola-esque style. I mean when you attach long melodic lines with a curve, in a classical style, to a different musical landscape with a hint of Finnish style in it too. The title track is probably one of the first ones I wrote. I came up with these couple of chords - Cmaj7 with G on lowest note and D6/9 with C on lowest note. And then it goes thru a myriad of modulations in different keys with big and wide chords, which are almost never in their basic form. I think there are more than plenty guitar tracks on that piece. I think the melody that evolved on top of that was vague memory of Scene dAmour from Hitchcocks Vertigo composed track, by Bernard Herrmann. mwe3: Whats the secret to writing a brilliant melody and then cloaking it in high tech finesse? Seems like you put quite a good deal of attention on all aspects of composing and recording in that Finnish orchestral rock style. What computer programs do you prefer when writing and recording music? Jukka Iisakkila: If I only would know the answer! I compose on an instrument, piano and guitar, and on paper. So I simply write notes with or without an instrument. Then I use Sibelius and usually eventually Logic. Those four, instrument  paper  Sibelius  Logic, work best for me. I usually have pretty much everything written down but then I add many various things and sounds and plug-ins afterwards. Yes, I think I do put a quite a good deal of attention on all aspects. mwe3: Tell us about your favorite guitars and keyboards that you play on Clocks And Clouds. Can you remember your first instrument? Were you a piano virtuoso at age 4? lol I know Pekka Pohjola studied violin early on and he was good too but you didnt want to pursue violin? Jukka Iisakkila: My first instrument was a piano but perhaps I was not a piano virtuoso at age 4. But I did proceed quite rapidly, I practiced a lot and I liked it. I have always liked practicing and I still do. By the time I got my first guitar in my early teens at the tender age of 11-12, I was a good pianist and I played percussion a lot too so they were going fine. My first guitar was a black Kramer and worked at the strawberry farm for the summer to be able to buy that instrument. During my teenage years I worked every summer and by the end of the summer I would spend all my earnings buying instruments, sheet music and records. And no, I did not want to pursue violin since most of my relatives already played the violin. And I wanted something different. Little bit of the Mike Keneally idealism that whatever makes the job done will do. mwe3: Speaking about 21st century artists and music, what artists are you listening to these days? You did a great job with the CD start to finish (lol) And tell me about the cover art with the title above the duck? Lol So what is coming next or now that were actually in the year of 2019? Heres hoping more people get to hear your music in the new year. as is clocks and clouds; scheduled world and free-spirited world. To the other side there is Imee Ooi, Esperanza Spalding, St. Vincent, Jacob Collier, Lisa Nilsson and I am very interested of the Norwegian contemporary jazz scene. There are really great musicians. Like Eivind Aarset, who is a really interesting guitarist and the mighty great Trygve Seim, saxophonist and a composer. But all this varies from month to month. I like music and music that wakes you up in new ways. and other nice things too.